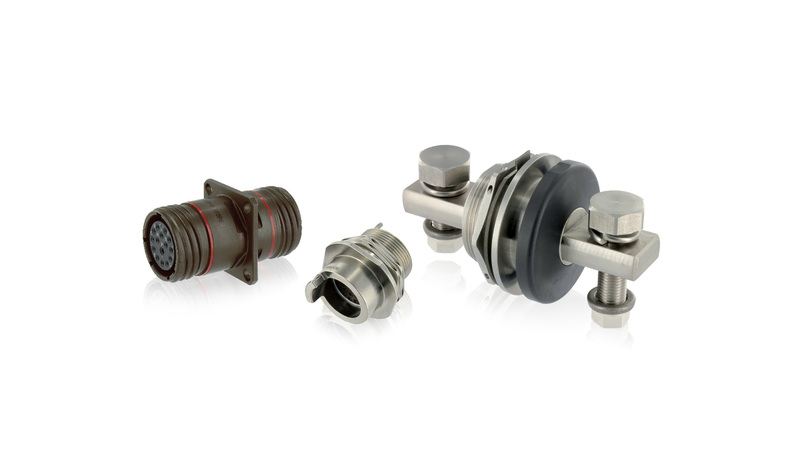 SOURIAU offers a full range of feedthrough connectors for aviation and military applications. Our products enable to cross bulkheads while conveying signal or power. Whether you are looking to increase the modularity of your system, maintain pressure boundaries or convey high electrical power, we have the right solution for you. Our high performance sealing technology ensures a leak rate of under 10-6 atm.cm3 / s at up to 1 bar, and combined with the robust nature of our designs, you can be sure to have a safe and secure feedthrough connection even in harsh environments.